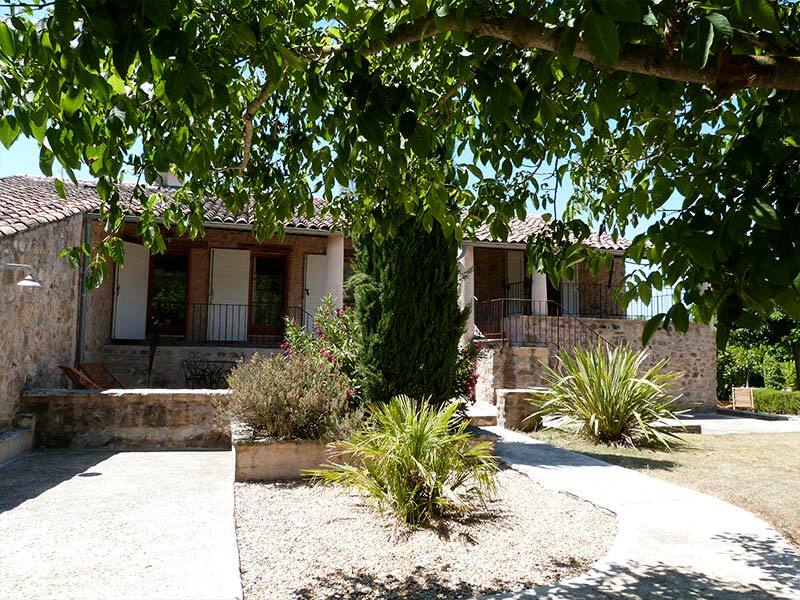 This is a gite for two people, with a spacious bedroom upstairs, lounge on the ground floor, and terrace with sun loungers and a table for your meals. 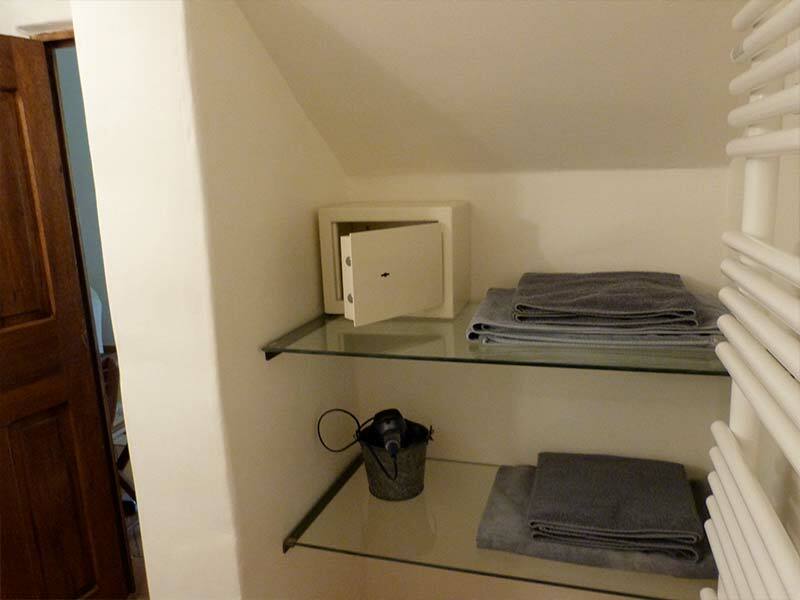 The kitchen and bathroom equipment is the same for all our gites. 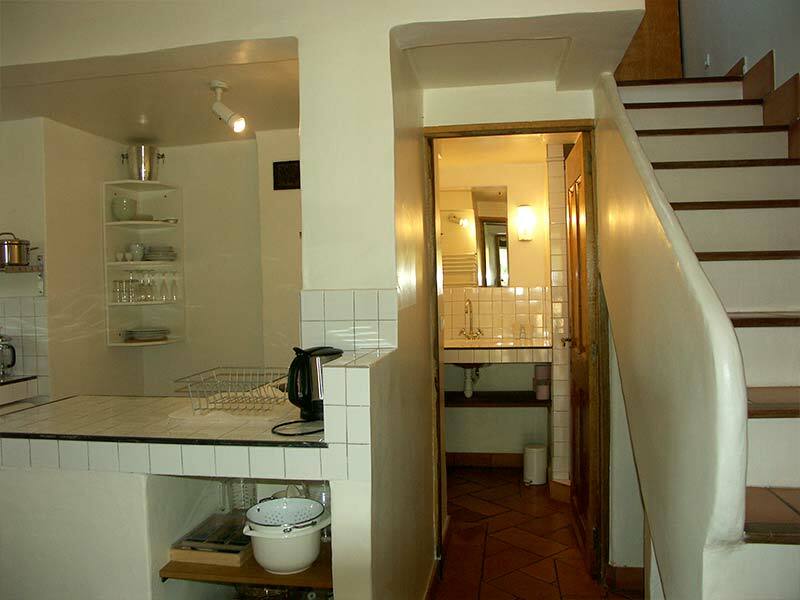 The bedroom has two single beds. It is air conditioned because the nights can be quite hot in summer. 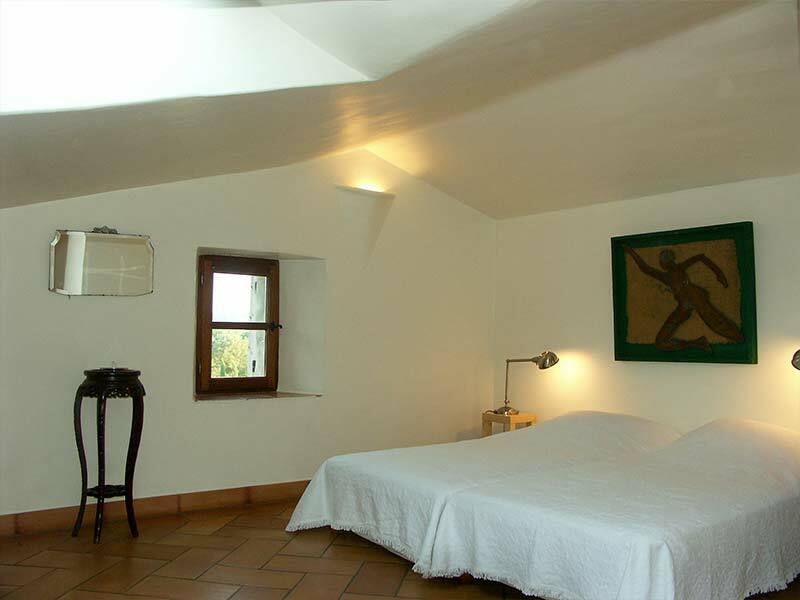 The bedroom and lounge open onto the terrace and the olive grove, bathed in the light of the rising sun. 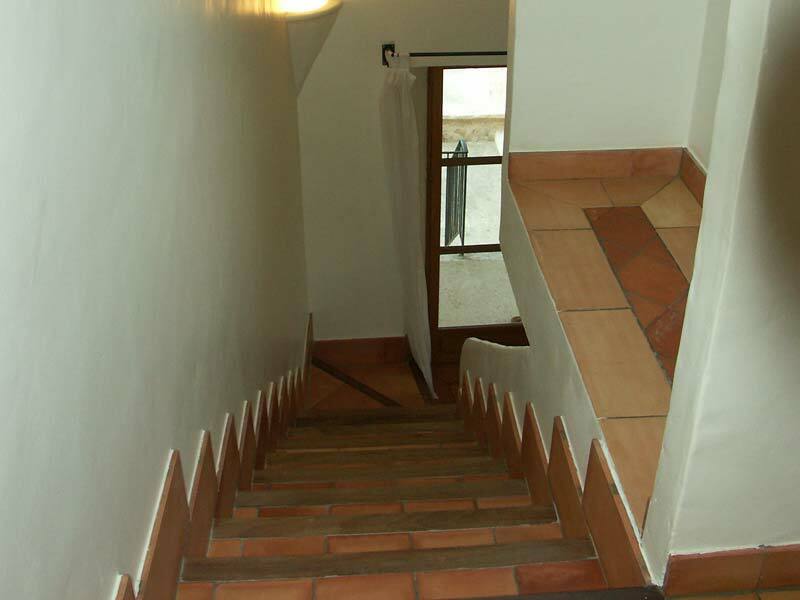 Like all our gites, its decor is uncluttered, with muted colours. Breathe in Provence and its unique scents. The terrace overlooks the landscaped garden and boules court. A small paved path leads to the pool.